Life Insurance for Diabetes – Can You Buy Life Insurance If You’re Diabetic? There is no one right answer for all diabetics, because the prices and availability can vary by person, depending on several individual factors, which may include: age, gender, health condition, family health history, and how you manage your diabetes. We have partnered with JRC Insurance Group, which has a network of life insurance companies that specialize in providing life insurance protection for people with diabetes. There’s no promise that every diabetic may find the life insurance they need, but if you are keeping your diabetes in check with a proper diet, and watching your weight, you may be able to find an affordable life insurance plan that meets your needs, and fits your budget. Whether you are an insulin dependent diabetic, adult onset diabetic, juvenile onset diabetic, or oral meds or controlled by diet diabetic, it may be to your advantage to use a free quote service like JRC Insurance Group that has worked with life insurance companies that insure people in your situation. The American Diabetes Association recommends ten foods that help keep your A1c low; these include beans, dark green leafy vegetables, citrus fruits, sweet potatoes, berries, tomatoes, fish high in omega-3 fatty acids, whole grains, nuts and low-fat milk or yogurt. Nearly 24 million Americans have diabetes, while an estimated 79 million Americans are pre-diabetic, according to the Centers for Disease Control and Prevention. Why is Life Insurance Unaffordable or Unavailable for People with Diabetes? Life insurance companies rate their policies based on several factors, including your health status. Also, an insurance carrier can choose to not provide life insurance based on an applicant’s chronic health conditions, like diabetes. Even so, it may be possible for many diabetics to find life insurance for diabetes policies in the U.S.
You need to know where to look. Some life insurers specialize in offering life insurance to people with diabetes, and other chronic health conditions. How You Manage Your Diabetes - A main factor in the cost of diabetes life insurance policies for people with type 1 or type 2 diabetes is how well they manage their diabetes. If you have a lower A1C, good blood glucose control, lead a healthy lifestyle, and do not have complications from diabetes, chances are your rate will be more reasonable too. Find an insurance agent that is experienced in obtaining policies for individuals with "Impaired Risk" - they will know what carriers may offer you a policy and which one(s) may not. Locate a licensed life insurance agent with access to carriers specializing in life insurance for diabetics. Apply for a policy with a life insurance carrier that uses "Clinical Underwriting" - which is a process that looks at your total health, not just what health conditions you may have. They may take into consideration how well you manage your diabetes. Shop around and compare - on the internet, by phone, or through referrals from family and friends. Becoming your own advocate will help you find a life insurance for diabetes policy that best fits your needs and budget. Don’t take no for an answer - Just because one life insurance carrier rates or declines your application does not mean that another company will not look at you more favorably. Persistence may help you find the right life insurance plan. One recent study on diabetes indicates type 2 diabetes, well controlled or not, results in a high occurrence of heart disease. Strokes and heart attacks are the leading cause of death among type 2 diabetics and the American Diabetes Association suggests that the rate of death among diabetics due to heart disease is possibly as high as 75%. Maybe life insurance underwriters are putting to much emphasis on lowering glucose numbers, possibly putting too high an emphasis on a low hbA1c. Life insurance companies may become less stringent about glucose levels, but may adjust mortality tables to reflect the high occurrence of heart disease in diabetics. Complications resulting from diabetes, such as, neuropathy, retinopathy and heart disease. It appears the best underwriting and life insurance rates may go to late onset (after age 50), an hbA1c of 6.5 or under, and no complications resulting from diabetes. Compare Several Price Quotes – Rates may vary by up to 50% or more between insurance companies. Some life insurers may charge you hundreds of dollars less per year for your life insurance. By comparing quotes you could keep more money in your pocket. Financial Strength Ratings – Choose an Insurance Company rated "A" Excellent, or better, by A.M. Best Company for financial strength. This means they should be safe, secure, and able to pay their claims. Review "Free Look" Period - Many life insurance companies provide a 10-30 day money-back guarantee. If you are not satisfied with your life insurance policy you may return it within this time period for a full refund of your premiums paid. Make sure to check on this before buying your life insurance policy. Compare Premium Payment Options – Compare quotes for the different premium payment options of monthly, quarterly, and annually. Paying your premiums monthly may cost you more, than paying your premiums once per year (annual payments). Length of Term Options – Choose the term (length of your policy) you need coverage for – 5, 10, 15, or 20 years. Depending on your age, the term available may vary by insurance company. AIG – American General has been in business for more than 160 years with over 12 million customers. 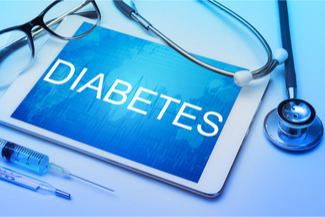 They have specialty underwriting guidelines for people with diabetes. The majority of diabetics may now receive a non-diabetic rate on their life insurance if they meet certain underwriting requirements. You can get a free life insurance quote from AIG and several other leading life insurance companies through JRC Insurance Group. 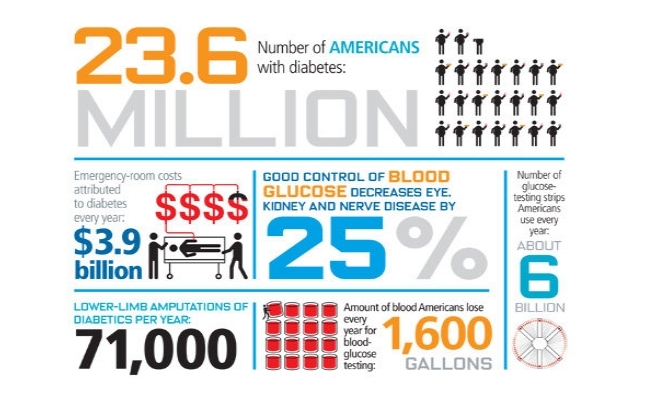 American Diabetes Association - Learn about diabetes and review diabetic resources.